A common issue we see day in and day out is clients spend thousands or even tens of thousands of the hard earned money on beautiful new fences or decks and then try and save money by skipping the painting or staining process. This is especially true for fences! While staining or painting a deck has become common knowledge the majority of people we deal with for some reason believe with fences, there is no need to protect them! This is simply not true. On top of that who wouldn’t spend an extra couple hundred to protect their investment of thousands of dollars. Wood fences and decks are prone to major deterioration over time as both the rain and sunlight wreak havoc on the wood’s natural life cycle causing it to corrode, weaken and if not repaired quickly the structure will soon fail completely. Years in which there is an abundance of rain or extreme heat is particularly bad for your fence or deck. Deck Staining and Fence Staining Services near Concord, CA. To help prolong the life of your fence or deck while adding beauty to the structure, a sealant is needed. It is best to apply such a sealant within a year of installation, and if you choose to do so immediately as we recommend, we like to wait a minimum of two weeks for the wood to fully acclimate to its new home before application. 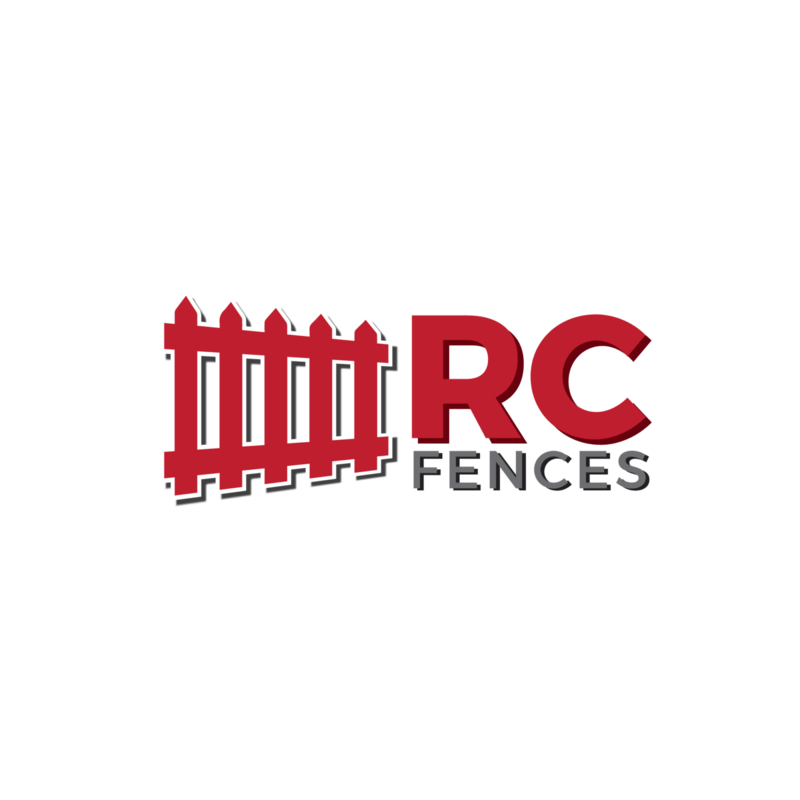 RC Fences and Decks is not just great at building and repairing fences and decks and other outdoor structures, we also offer the best deck and fence care services in the East Bay Area. Whether you have a new deck or fence or it is aged and dark grey. You can assure that RC Fences and Decks will provide you with the best staining job available to you. 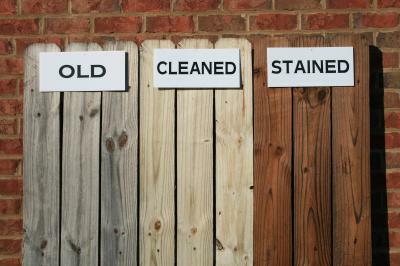 Fence and Deck Stains – Which One’s the Best? So now that you know the reasons why you should seal your fence or deck you might be asking yourself, “which stain or sealer is the best for my structure?” To simplify matters, there are only two things a good sealer must do. It needs to shield the wood from the suns powerful ultraviolet rays and it needs to waterproof the wood so it repels water instead of soaking it in. While these are a good wood sealers beneficial attributes, they also prevent cracking and splitting of the wood and protect the woods natural color! Ultimately, a proper wood sealant extends the life of the wood, meaning you can enjoy your wood deck or fence for many years as it endures the elements brought on by the natural world. 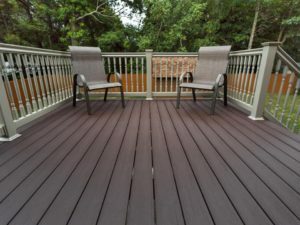 There are a plethora of deck and fence stains on the market today, most of which a homeowner can easily apply with a bit of preparation and research on the materials needed to adequately seal and stain the wood. Choosing a product depends on how much of the wood’s natural grain you wish to show—opaque or solid treatments tend to last the longest, but you may prefer a semitransparent or clear finish if you want to showcase the wood’s natural beauty. Below we list some examples of the various types of finishes available as well as ones we personally recommend and use everyday! Solid deck and fence stains typically last up to three years. If you don’t mind using a product that ends up hiding the wood grain and don’t want to re-apply a seal every year, then a solid stain may be the ideal choice for you. One caveat of these opaque materials is that they can build up a film and—just like paint—may peel, chip or crack over time. Semi-transparent products allow some of the wood grain to show through, which makes them a great choice for types of wood whose natural finish you want to showcase on your property. They are not as weather resistant as solid treatments as they contain less solids and therefore will need to be reapplied every two years. These are are most popular finishes! A good semi-transparent deck and fence stains which is reasonably priced is Behr Premium Semi-Transparent Weatherproofing Wood Stain. The final option is clear deck and fence stains. These contain little to no solids but still do contain water repellents. If your deck or fence is made from premium or exotic and expensive woods and the natural grain is something you want to showcase, then a clear stain is your best option. Yet, make note that overtime the wood will still turn grey with a clear stain and although they often contain ultraviolet inhibitors and wood preservatives you will still need to reapply every year. The average price for deck and fence stains typically runs between $28 and $40 per container. Check with your local retailer or manufacturer for special coupons, especially during the fall and pre-summer seasons! Staining decks and fences is a “one shot deal”. You get one shot to either make the deck or fence look great and seal correctly, or not. RC Fences and Decks has the product knowledge to achieve the results that you want. With the expense of building a fence or deck, the last thing you want is to not get the stained look that you expect. Our multiple step process ensures you get the best results every time guaranteed! We start with a mix of propitiatory cleaning solutions to remove the dirt and grime with less pressure than our competition. This cleans the fence to brand new condition. We very gently clean the entire deck, fence or pergola. Then we neutralize the PH of the fence to be able to accept the stain properly so you get the longest lasting finish that any fence or deck staining contractor can possibly provide with today’s technology. We mask close bushes and flowers to be sure that they don’t get the same stain treatment as the deck or fence. The application process is also done with the best brushes and sprayers possible. Every inch of the wood is brushed in to achieve a beautiful stained finish that will last for years to come. There is an increase of using decks that are weathered. The protruding nails may cause significant difficulties. We replace worn out slats and give them a unique finishing touch. We have the right tools to create even the most resistant floors and to clean whatever liquids or stains may have spilled on your floor. This cleaning is customized for all kinds of services whether painted or not. Regular cleaning is a necessity for your home if you need it to have a natural look. RC Fences and Decks can improve the look of your deck or fence quickly and efficiently, leaving behind a clean work area. We’re proud of our reputation for excellent service, give us a call today!